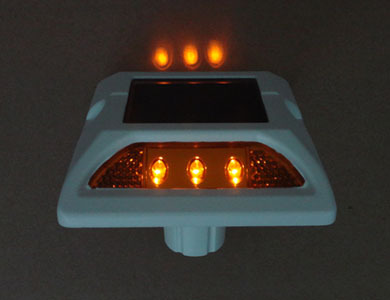 The solar traffic signs, solar road studs, and solar traffic lights appear in the field of traffic safety facilities in recent years. Compared with the ordinary traffic facilities, the solar type has the advantages of easy installation, constant electricity, and no pollution. 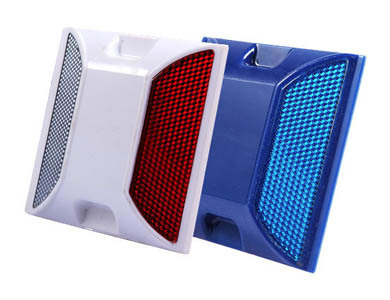 It can also increase the action range and warning effect of the safety facilities. This article will discuss the application of solar traffic facilities in the following aspects: light pollution in urban areas, foggy days in mountainous areas, and the potential safety hazard. In urban areas, the dazzle malls, neon light and advertisement lamphouse outside the hotel will make night as bright as the daytime. It is terrified that it is even difficult to find out the traffic light in some busy districts, so is the ordinary traffic sign. However, the solar traffic signs can catch the eye of the drivers even far away, which can make them pay more attention to the road condition ahead. The mountainous high ways distributed in the western district of our country, where the geological condition in complicated. And the complicated topography condition performs in the aspects of large altitude difference, frequently change, and steep transversal steep. And the complicated geological indicates the undesirable geological condition like karst, unstable slopes, collapse, klints, and gas layer. For the mountainous area is wet with lush vegetation, there may have fog. The nonuniform distribution of fog may cause that there is good sight in one section, and foggy weather in another section. This condition will make the drivers feel dim of sight suddenly, and some drivers cannot suit the suddenly change of sight, which may make them become scared, which may cause traffic accidents. However, the application of solar traffic signs will catch the eyes of drivers in advance. The potential traffic safety hazards are insufficient lighting at night, indistinct road marks, severe damage of the ground, ponding in rainy season, and the traffic safety hazard around school areas. The solar traffic marks can give out light through leds to delineate the pattern to convey traffic information, which may arose the attention far away. What is The Quality Standard of Solar Road Stud? Copyright © 2011-2018 by NOKIN All Rights Reserved.